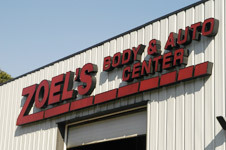 Zoel's Body and Auto Center recognizes that its customers are its greatest asset and places the highest priority on meeting their needs. We are, above all, a customer-focused company. From the moment you walk through our doors you will experience the added value we offer.